We are proud to provide our own inpatient service seven days a week. This means if your pet is admitted during working hours and they need continuing treatment during the night then we provide that care onsite and will update you with their progress. We run this service from our main surgery in Kilmarnock. It is staffed by our own veterinary surgeons and nurses. Our veterinary surgeons are on a shift rotation pattern so they are always fresh and ready to deal with your pet’s needs. Our veterinary surgeons will stay on the premises overnight, should a patient require more frequent or intensive care. We have separate dog, cat/rabbit and isolation wards for our patients. Patient comfort and wellbeing are of paramount importance to us. We have comfortable, heated kennels which all have facilities to allow us to provide intensive care for our patients. We have dedicated in-patient veterinary surgeons and nurses that are responsible for the patients we have in the wards. If we have any patients in isolation, for whatever reason, these patients are “barrier nursed” by a different vet and nurse, to maintain infection control at all times. If a patient does require to be hospitalised, we encourage visits from their owners if at all possible. Most animals benefit greatly from a wee visit from the family! 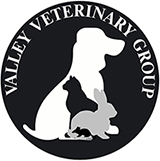 We realise that having a beloved pet away from home in the vet’s is a worrying and stressful time for an owner, so we make it a priority that owners are kept regularly up to date about their pet’s condition and we always endeavour to get the patient home as soon as is practically possible.